Meta-atom rings with single gaps are often placed in two and three dimensional arrays to provide the interesting negative index effects of meta-materials. 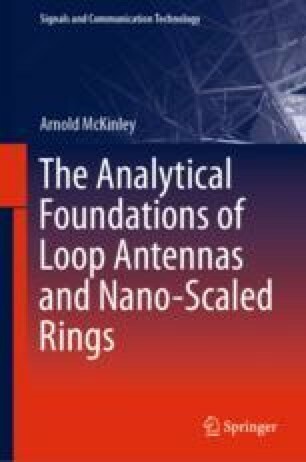 This chapter looks at the coupling effects between closed loops in 2 and 3 dimensions. Coupled loop theory is elaborated, including the effects of near-field coupling. An optimisation algorithm for generating arrays of coupled rings is examined. These effects can be extended using the techniques of earlier chapters including lossy materials, and multiply-loaded loops including gaps.